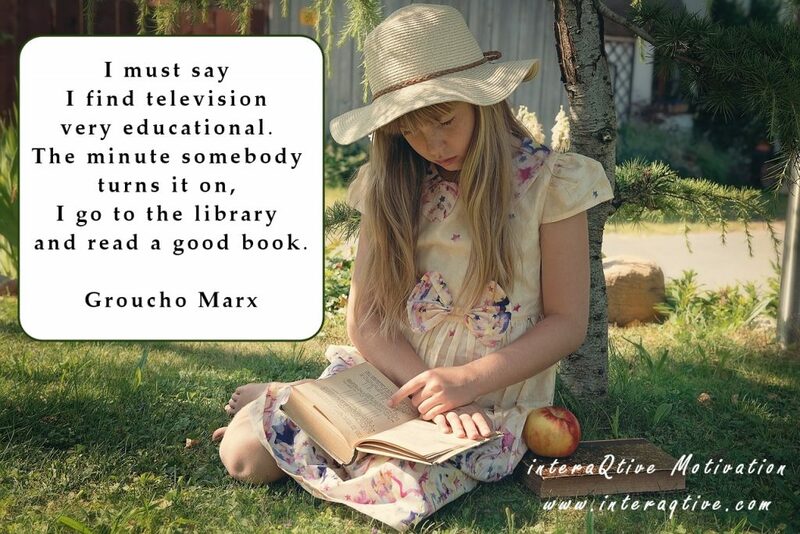 “I must say I find television very educational. Still, broadcasting media, like TV, have a huge impact on society. A form of media that can be defined as force-fed information to passive viewers. This in sharp contrast to other forms of media where activity is required and the user gives time to reflect and act. For example, a book is a friend and a guide to reflect upon, instead of a commander. Or an interactive book that both are a friend and an activating guide to empower your personal development, skills and knowledge etc.